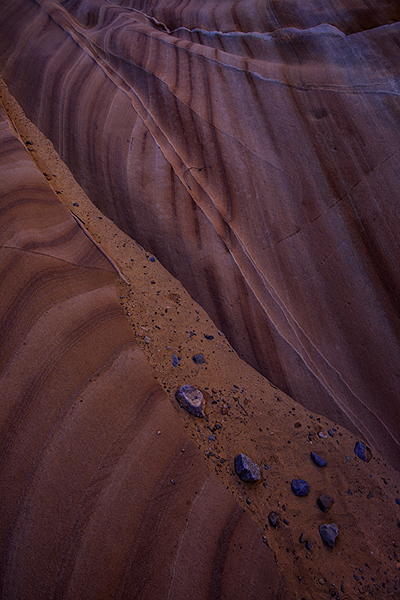 One of the many intamate, abstract scenes from the Valley of Fire State Park. Much of the park contains brilliant formations of eroded sandstone and sand dunes more than 150 million years old. Photo © copyright by Richard Bitonti.